Ndonge is a fruit from West tropical Africa. It is found in Nigeria, Cameroon, Central African Republic, Equatorial Guinea, Gabon, Congo, DR Congo and Northern Angola. 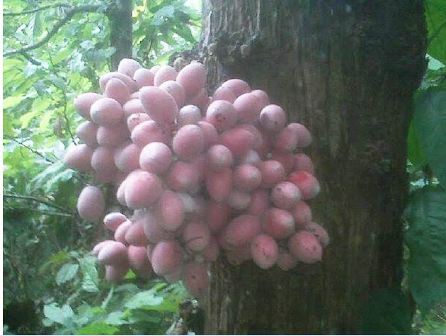 This tree grows in rainforests upto an altitude of 800 m.
Gabon grape, which is otherwise a tasty fruit, is virtually unknown outside Africa. 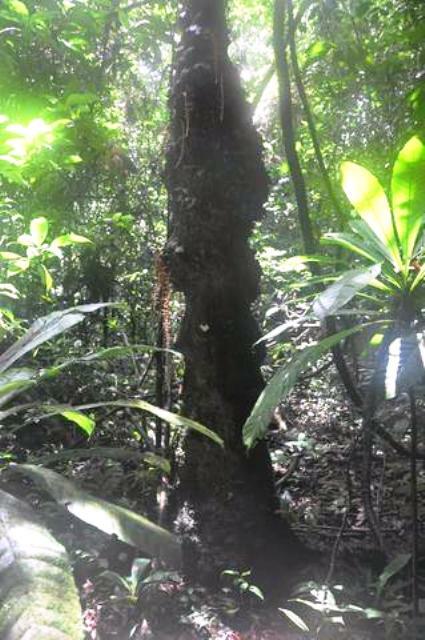 An unbranched or poorly branched tree up to 20 m tall and 45 cm dbh. 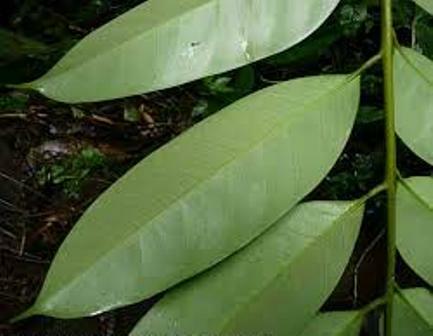 Leaves usually crowded at the top of the stem or branches, up to 1.5 m long; leaflets 7-17, oblong-elliptic, sometimes lanceolate, usually glabrous beneath or nearly so. Inflorescence borne on the lower part (≤ 4 m) of the stem, the male inflorescence up to 30 cm long, the female one usually shorter; bracts of the inflorescence 1.5-3.5 × 1-2 cm, deciduous; flowers pink to wine-red. Fruits subellipsoid, up to 6 × 3.5 cm, puberulous to shortly velutinous, (partly) glabrescent, dark red at maturity, edible. 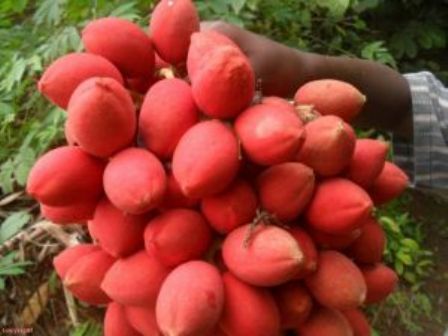 Ndonge fruits are very sweet and juicy. These are eaten fresh and also made into drinks after mixing with milk. These are believed to be highly nutritive and are therefore prescribed to persons recovering after illness. These are considered to be especially beneficial to people suffering from anaemia. Ndonge trees grow only wild and have not been brought under cultivation yet.